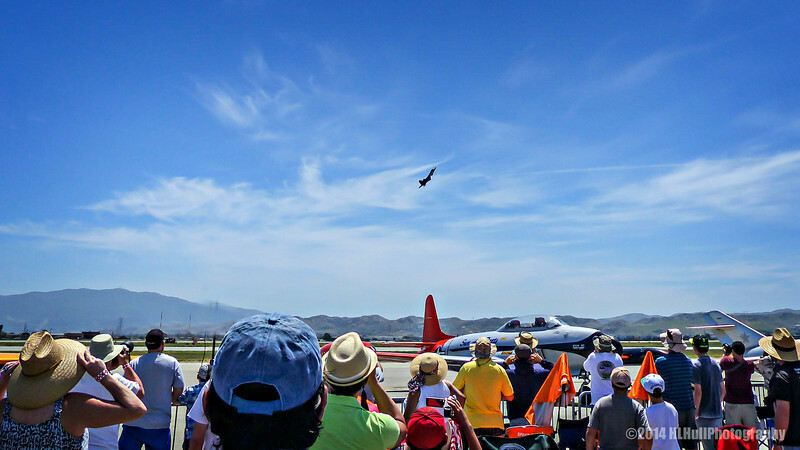 Recently, my son and I went to the Planes of Fame Air show in Chino, CA. It was a beautiful day and I took quite a few pics. I'd never shot an air show before, it was definitely a learning experience! Focusing on a moving plane is a real challenge! I'll be sharing some of the 'better' shots in the days ahead. Something I have never been fortunate to attend, an air show . To see those fast birds strut their stuff. One hopefully. This image makes my mouth water !!! Beautiful sky and a terrific capture! Nice scene and comp! I like how you included the crowd enjoying the show! Nice way to start the series. I love the shot of the crowd in the foreground. Great capture Howard!